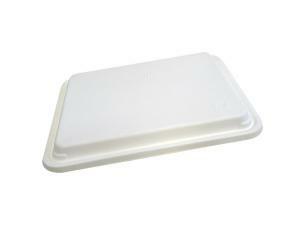 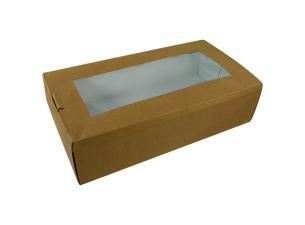 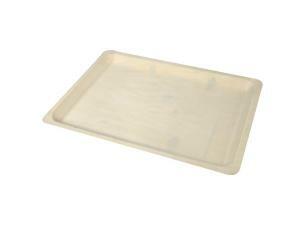 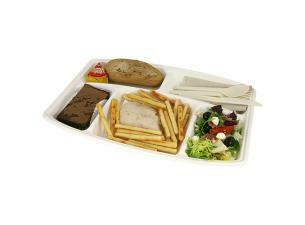 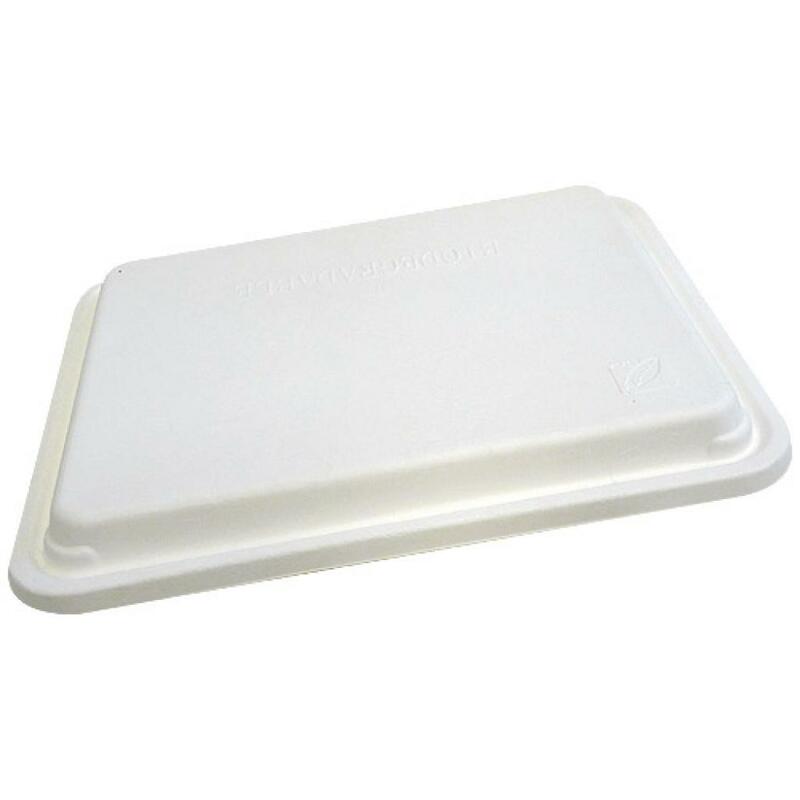 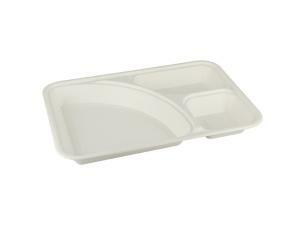 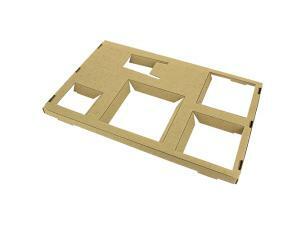 280x220x35mm, biodegradable, sugar cane pulp, 5-compartment trays. 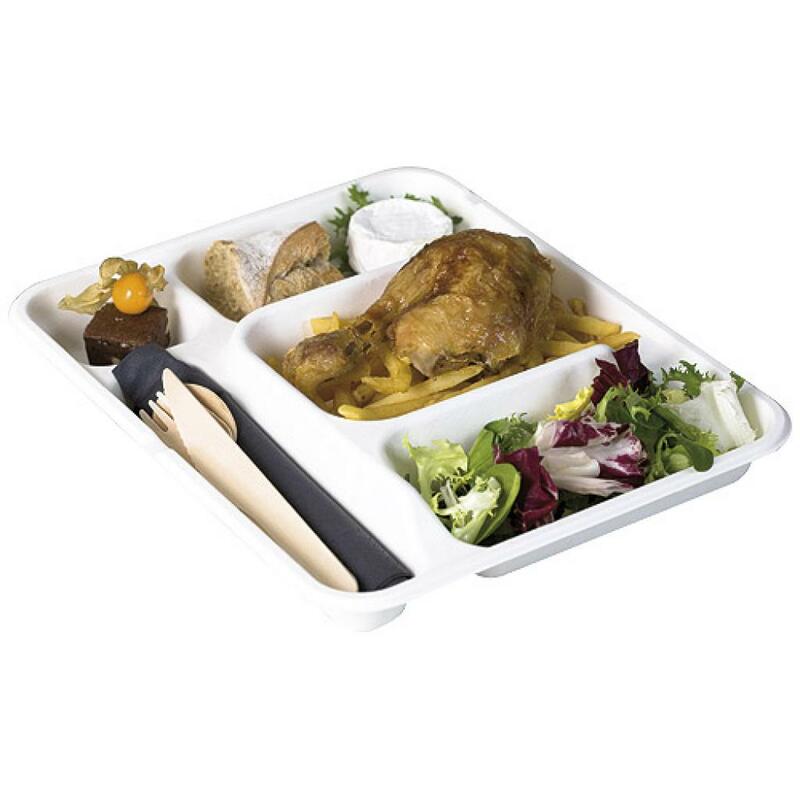 This tray is made from sugar cane pulp and has many advantages: sturdy, sauce- and grease-proof, it has 5 compartments, thus allowing you to offer a full meal with cutlery and sauces. 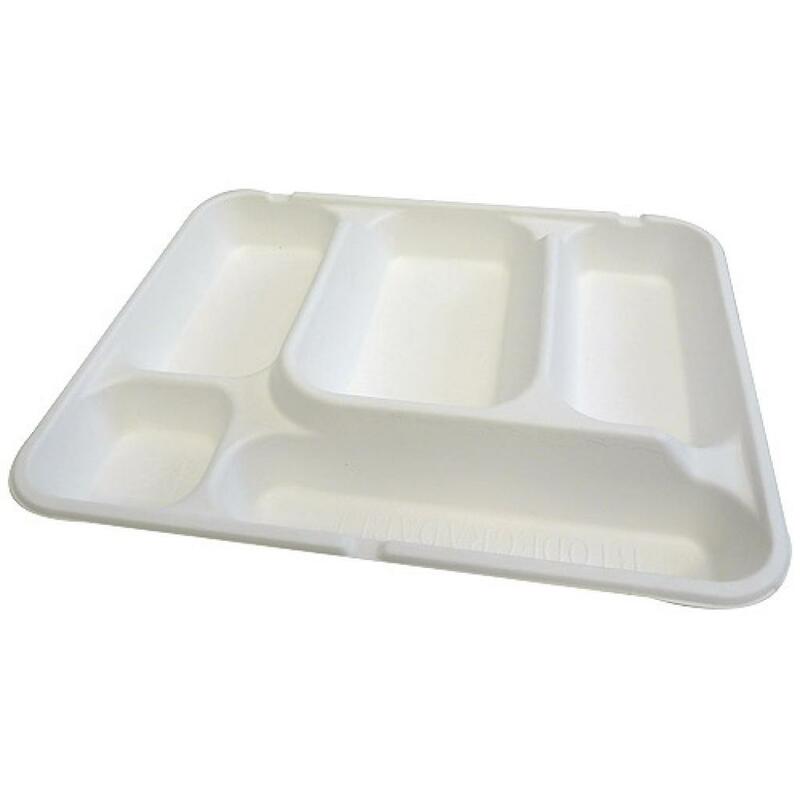 Designed for eco-friendly food service professionals, this tray offers equal, if not better comfort than traditional plastic dinner trays. 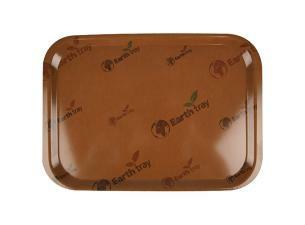 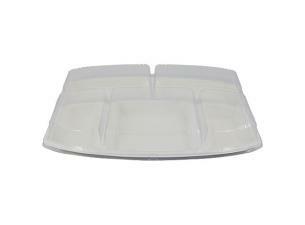 This practical tray also has a sugar cane pulp lid (sold separately).